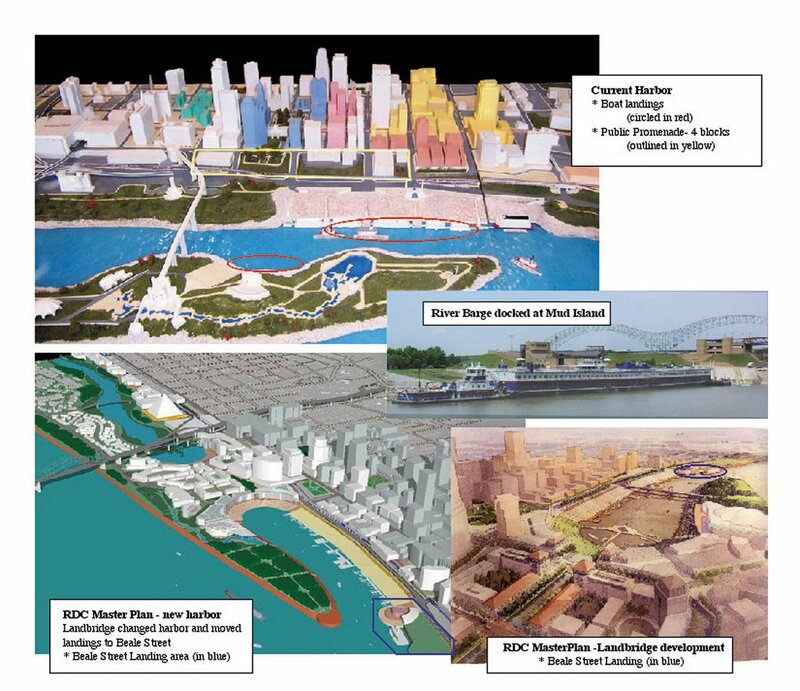 Friends for Our Riverfront: Beale Street Landing - what, where, why, who, ... Do we need it? Can we afford it? * Original article posted July 2006. * Corrections and updates (in red) added Nov. 2008. * Since then, project cost has gone up to more than $37M and overnight riverboats have gone out of business (4/9/2010). * For other articles and links to more info. on BSL - click HERE. Beale Street Landing will be built on the west side (or river side) of Riverside Drive, at the level of Tom Lee Park, and will stretch approximately from Beale Street south to the bluff steps at Vance Ave. It will cover a section of the original cobblestones that are now buried by debris, the northern end of Tom Lee Park, a small wetland area, and new land that will be created by landfill. This space is not part of the dedicated Public Promenade, which is on the Bluff north of Union Ave.
· and an underground parking garage for 70 cars. The parking garage has been replaced by a "for pay" parking lot to be built in Tom Lee Park. The paved lot will cover about 2 football fields worth of parkland and extend down to Vance Ave.At times during the year, as the river rises and falls, some of the islets and the parking garage will be underwater. A parking space for tour buses to unload will be built between the spiral ramp and the floating dock. 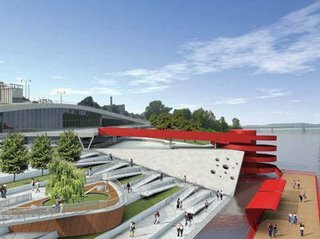 The design for Beale Street Landing is by Javier Rivarola, Gustavo Trosman, and Ricardo Norton of RTN Architects, Buenos Aires, Argentina, winners of an international competition. Several local architectural firms are also participating in the project. 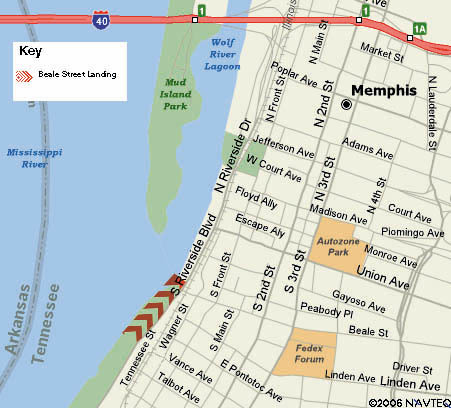 With modification, the design was approved by the TN Historic Commission.Money has been approved by the City Council for this second stage of the project.